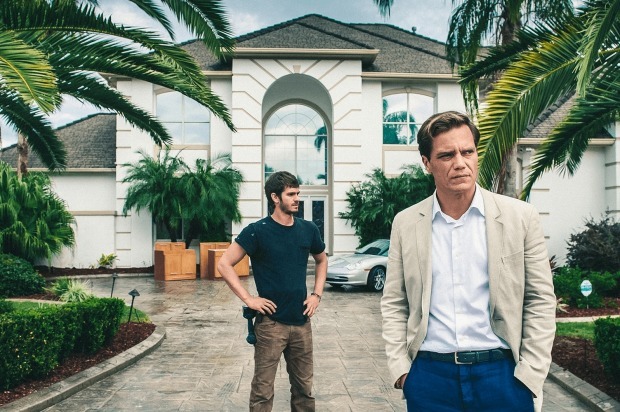 Hollywood director Ramin Bahrani describes his acclaimed film, 99 Homes, about the post-GFC housing crisis and the millions of people forced out of their homes, as a ‘Faustian – deal with the devil’ – tale. But it’s not Faustian in the sense that many movie-goers might interpret the central plot, that of evicted homeowner Dennis Nash (Andrew Garfield) who goes to work for the man who foreclosed his home, corrupt, gun-toting real estate broker Rick Carver (played by the enigmatic character actor Michael Shannon). Rather, according to Bahrani, it’s the housing system itself which is Faustian, creating unscrupulous characters like Carver, who we see in the film manipulating government and banking rules at the expense of struggling home owners to make himself rich. “[Carver] is not such a horrible person, he is just doing what he needs to do to survive,” Bahrani told me. The are of course parallels to Australia with its unscrupulous property spruikers and their get-rich-quick schemes, a housing and tax system that seemingly favours the cashed-up older generation of owners and investors at the expense of young buyers, and where tales of windowless apartments in high-rise towers and students living in tents or on bathroom floors abound. According to Bahrani, this corruption extends beyond housing and into the wider financial and banking system, noting that both Australia (Malcolm Turnbull) and New Zealand (John Key) have prime ministers who were former investment bankers. “The banks were fined millions [in the wake of the financial crisis], but nobody went to jail. But if you stole a carton of orange juice, you would go to jail. “The people who are responsible for bankrupting the world got away with it. Nothing has changed”. “It’s not called the rocket docket for nothing,” he said. But Bahrani says the film is not about picking sides. Researching material for the film in 2012 and 2013, Bahrani witnessed both side of the brutal US foreclosure system: the middle-cass families living in motels and the school buses that would pick up their kids from these motels as part of their morning routes, but also the sheriffs and real estate brokers “terrified about who would be on the other side of the door, when they evicted them”. He says he did not set out to deliver a sermon or pass judgement about the real estate industry or real estate brokers but instead wanted to explore both sides of home ownership – the home as a place of “safety, community and memory” or in the case of real estate agent Rick Carver just a commodity to be “bought and sold”. For those in Australia fruitlessly or frustratingly pursuing the housing dream or, alternatively, enjoying the riches that housing investment can bring, the parallels in Bahrani’s movie are obvious.